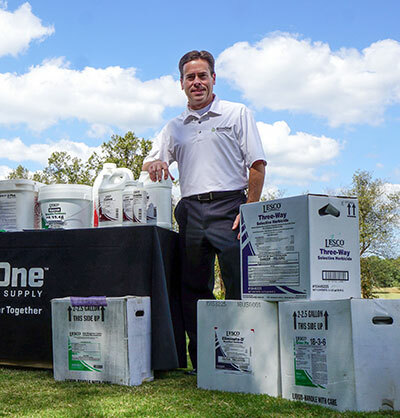 SiteOne Landscape Supply hired John Gertz as vice president of category management for the agronomics category. Gertz’s main responsibility will be to lead SiteOne’s agronomics product business and manage supplier partnerships in this space. Gertz has been working in the green industry since 1995, starting in sales and marketing roles with both basic discovery and post-patent chemical manufacturers, including Dow AgroSciences, SePRO and Sipcam Agro USA. In 2007, he transitioned to the distribution side of the business, working as director of micronutrients, Turf and Ornamental for WinField. Prior to joining SiteOne, Gertz served as the CEO of PrimeraTurf. Gertz holds a bachelor’s in agronomy and crop science, a bachelor’s in genetics and a master’s in transgenic agronomy, all from the University of Georgia. Husqvarna appointed Cary Shepherd vice chair of the 2018 Accredited Standards Committee (ASC) Z133. The committee develops and maintains the American National Standards Institute (ANSI) Z133.1 Standard for Safety Requirements. It’s the ANSI-approved committee for arboriculture operations and resides with the International Society of Arboriculture. Shepherd is a 24-year veteran of Husqvarna, a certified treecare safety professional as well as a Husqvarna qualified master sawyer and instructor. He previously served as chair of the chainsaw subgroup of the ASC Z133 and has been a voting member of the committee since 2009. Consultant Jason Cupp received the Kolbe Professional Award for Conative Excellence. The award honors distinguished leaders for applying conative theory to identify people’s natural strengths through consulting work. The criteria is based on expertise in Kolbe Theory, effect on organizations and voting from a panel of more than 80 other consultants. “Jason’s ability to grow the organizations he works with comes from years of training and experience, plus a gift for insight. Specifically, he really knows how to use Kolbe Indexes and software to dig deep into others’ instinctive strengths,” said David Kolbe, CEO of Kolbe Corp.
Jason Cupp has been a Kolbe Certified Consultant since 2006. During the past 11 years, he has helped companies in insurance, health care and service industries with team building, business model development and crisis management. He travels extensively through North America and Western Europe as a speaker and consultant on a variety of growth-oriented business and leadership topics. Brandt hired Ken Mangum as national sales manager for the company’s turf business, which includes the Brandt, Grigg and Brandt iHammer product lines. In this role, Mangum will oversee the company’s turf and ornamental territory sales managers, engage key customers and work with the senior management team to set the strategic direction for the turf team. LandCare hired branch managers Rodrigo Sangy and Ceasar Larrach to lead its West Los Angeles and Palm Springs teams in Gardena and Indio, Calif., respectively. The new branch managers bring a combined 40 years of experience to their teams. Sangy has extensive industry experience, having worked as a crew member, supervisor, irrigation technician and account manager over the course of 17 years in the Washington, D.C., area. The Brazilian native studied business and landscape construction management at Rio de Janeiro State University, plant science at the University of Maryland and is a Certified Irrigation Designer with the Irrigation Association. Larrach brings more than 20 years of experience in commercial/homeowners association property management to the Palm Springs branch. His knowledge of the property management industry paired with several years of experience as an operations manager for a commercial landscaping company provides a solid foundation for understanding the customer/provider relationship. He is a graduate of California State University, Los Angeles. Buyers Products promoted Andy Saltzman to marketing manager. In this role, Saltzman is responsible for developing and implementing the marketing and promotional activities to help execute Buyers’ strategic objectives. Prior to his new position, Saltzman was a member of the team at Buyers that planned and launched Buyers’ new website. His key responsibilities included the coordination of content creation and product information mapping.